Forty percent of America's homeless youth are LGBT teens. 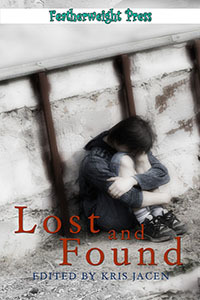 Rejected and abandoned by their families, churches, and loved ones, they are our throwaway kids. This anthology is an act of love, an attempt to cast light upon these precious angels who've been forgotten by the rest of society. All participating authors have donated their time and talent, and 100% of the royalties from the sale of this book will be donated to GLBT Youth Charities.